Police are looking for a man who they say took a bathroom break before he robbed a Fort Lauderdale gas station at gunpoint earlier this week. The robbery happened around 11 p.m. Sunday at the Shell Station at 1144 South Andrews Avenue, Fort Lauderdale Police said Friday. 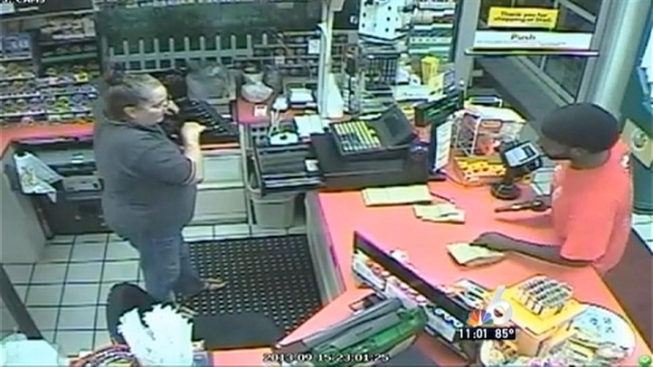 According to police, the suspect asked the clerk for the key to the restroom then pointed a gun at her when he returned. 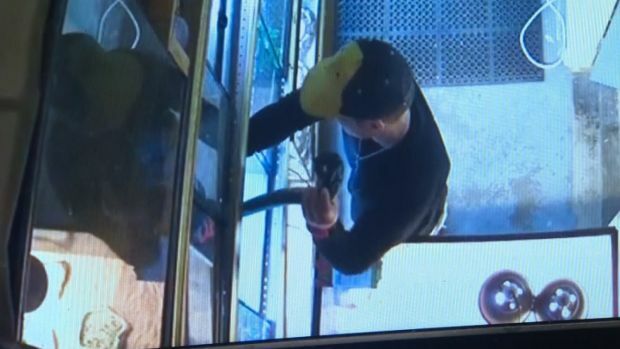 The suspect demanded money and and the clerk handed over some cash from the register, police said. He then fled the scene. Latent prints and DNA were obtained from the scene and placed into evidence for further processing, police said. Police describe the suspect as a black male, 20-30 years old, 5-foot-8 and 170 pounds. He was wearing a red shirt and red shorts. "We think that someone in the public is definitely gonna be able to recognize his picture or even the shirt he was wearing," police spokeswoman DeAnna Greenlaw said. "On that red T-shirt there is a distinctive white graphic or white writing."